The intended audience for the CLB is the professional field of adult ESL instructors, assessors, curriculum and resource developers, test designers and academics. 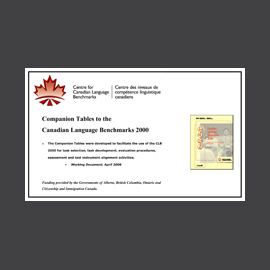 The CLB standard can also be used to inform funders of English language training programs, labour market associations, licensing bodies, and employers. 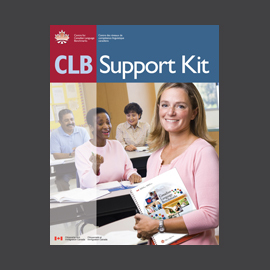 The CLB fulfill several key purposes for learners, educators and assessors, as well as for the broader community. The CLB provide a basis for learners to plan their language learning, set or adjust goals, and monitor progress. 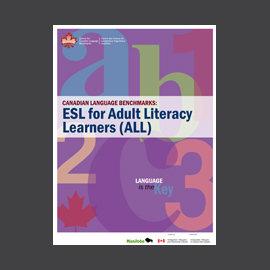 As the national standard for describing communicative language ability, the CLB can facilitate a common understanding of learner credentials that allows a smooth transition between classes, programs and institutions, as well as recognition by professional organizations and licensing bodies across Canada. 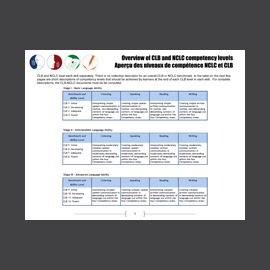 The CLB standard provides a professional foundation of shared philosophical and theoretical views on language ability that informs language instruction and assessment. 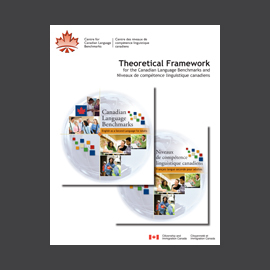 It provides a common national framework for describing and measuring the communicative ability of ESL learners for instructional and other purposes, ensuring a common basis for the development of programs, curricula, resources and assessment tools that can be shared across Canada. The CLB help the professional field to articulate ESL needs, best practices and accomplishments. The CLB contribute to clear, informed communication between the ESL community and other stakeholders and organizations (such as instructors in related fields, applied college programs, TESL and other educational programs, counselors and language education funding bodies). The CLB also provide information for labour market associations, sector councils, licensing bodies and employers who seek to understand how language requirements for professions and trades should be referenced to the standard. Can the CLB’s be used with any audience? 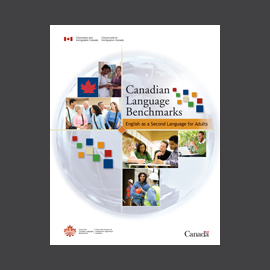 The CLB and NCLC are recognized as the official Canadian standards for describing, measuring and recognizing the language proficiency of adult immigrants and prospective immigrants in both English and French. They provide a common language for the entire immigrant-serving community. How can I better understand how to use the CLB’s? 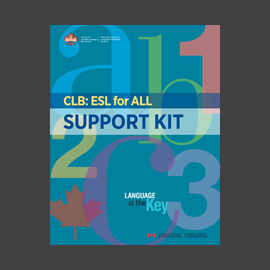 CCLB offers free online courses that offer basic training on the use of the CLB’s and related tools such as the CLB Support Kit and the CLB: ESL for ALL and it’s Support Kit. You can find them on our e-learning portal learning.language.ca. The CLB’s were developed by CCLB but remain the property or Immigration, Refugees and Citizenship Canada (IRCC).